The design philosophy at Rawganique has always been purity and comfort first. 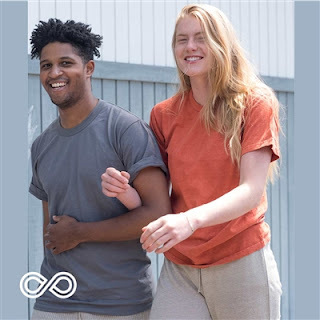 We design organic cotton, linen, and hemp clothing that is comfortable to wear, using the purest GMO-free organic fibers available. Rawganique products are sweatshop-free by definition, as our small atelier is our family unit. Most of our artisans have been with us since the beginning and everyone is paid above fair living wages. We grow, weave, knit, and sew for a true end-to-end purity and transparency. Our goal is to make organic clothing, footwear, and home textile products as natural as possible, and always without toxic chemicals and acids. We look to heritage ways of fiber cultivation, production, and processing to arrive at truly natural fiber clothing and home products. In this regard, the ancients knew all there was to know about fibre arts. Without chemicals or heavy machinery and plenty of art and ingenuity, many cultures around the world were able to make beautiful, durable and natural clothing and home products throughout the ages, well before the industrial revolution and chemical revolution. 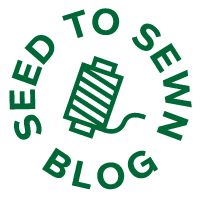 If we had our way, we would be making sure that all clothing on the market are made of organic cotton, linen, and hemp — the triple crown of natural fibres. With these three, you can make almost any product for everyday life. As a side note, bamboo fiber is not natural. It's actually a human-made rayon fiber that's processed from bamboo plants. We love bamboo for furniture and flooring, but definitely not for clothing as a lot of chemicals go into the process of converting hard bamboo lumber into soft, stretch synthetic fiber that's erroneously referred to as bamboo fiber (it's official synthetic rayon from bamboo). This is a rare concept in today's economy-of-scale world. We consciously stay small-scale so we can pay attention to the little details that make a big difference in how pure our products are compared to those made in big factories. Join us! Wear hemp. Wear organic. And change the world.